Obituary for Annie Lee Maiden | L.E. Black, Phillips & Holden Funeral Home Inc.
Annie Lee Maiden graced this world with her presence on April 3, 1929 in Sawyerville, Alabama a daughter of Henry and Maggie Wynn Hudson. She was a graduate of Parker High School in Alabama. In 1945, she married the love of her life, John H. Maiden, Sr., and the young couple relocated to Youngstown, Ohio in 1946. During her early years, she served on the usher board and as a Sunday School teacher at Zion Hill Baptist Church. Once her husband answered the call to pastor, she was proud to serve as the First Lady of First Baptist Church in Wellsville, OH and then of Union Baptist Church in Youngstown, where she served as a Sunday School teacher, a member of the Seniors Mission and Leader over the Joy Circle Young Women’s Ministry. Mrs. Maiden was past president of the Pastors’ Wives Ministry, a member of the NAACP and a board member of the Urban League. She provided volunteer spiritual services at the Rescue Mission, the Youngstown Society for the Blind, and the Beatitude House in Youngstown. She was honored on August 14, 2016 by Mayor John A. McNally and Congressman Timothy J. Ryan with a certificate of Recognition from the 100 Plus Foundation. 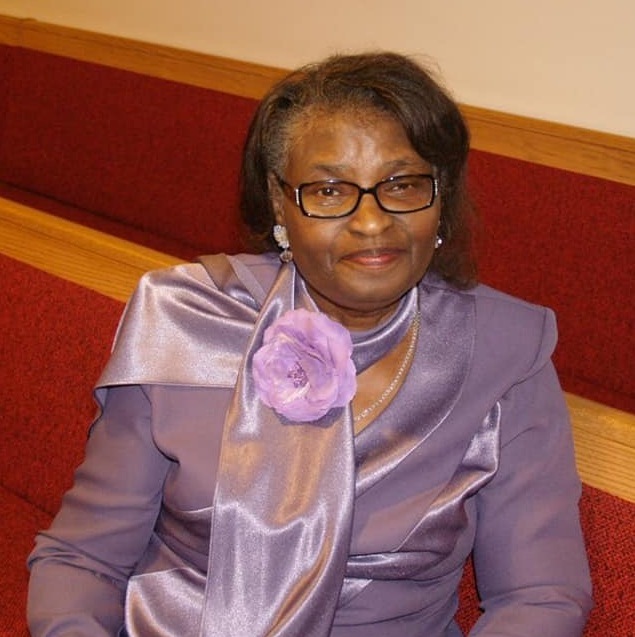 After the retirement of her husband from Union Baptist Church, they united with the New Hope Baptist Church in Farrell, PA under the leadership of Pastor Clevon Dukes. She would later go on to become an active member of Providence Baptist Church in Cleveland, OH, after her husband accepted the position of Assistant to the Pastor, their son, the Rev. Rodney Maiden. While at Providence, she served on several ministries including the Bertha Strong Ministry, Covenant Couples, Women’s Ministry and Seniors Ministry. After the homegoing of her husband, she relocated to Columbus, OH, where she became a member of Mt. Olivet Baptist Church, under the pastorate of Dr. Charles E. Booth. She attended Sunday School, Bible Study and was a prayer leader with the Seniors’ Ministry. She leaves to carry on her legacy, her children, John H. Maiden, Jr., Shirley (Lewis) Skelton, Gloria Maiden, Rev. Albert (Jacqui) Maiden, Arnita (Rev. Clevon) Dukes and Rev. Rodney (Henrietta) Maiden; 19 grandchildren; 40 great grandchildren- 25 great great grandchildren; and a host of nieces, nephews, cousins and friends. She was preceded in death by her parents; her husband, Rev. John H. Maiden, Sr.; siblings, Lee Allen Coleman, John Henry Hudson, Roosevelt Hudson, Joe (Inez) Hudson, and Mary Lou Smith. Visitation will be from 10:00 – 11:30 a.m. Thursday, April 18, 2019 at Providence Baptist Church at The Manor, 24111 Rockwell Dr., Euclid, Ohio 44117. Funeral services will follow immediately at 11:30 a.m.. Arrangements entrusted to the L. E. Black, Phillips & Holden Funeral Home, Youngstown, OH.